Outdoor Cafe Fencing - 1m Black Aluminium Frame - Ships Same Day! Snap together poles assemble in minutes - no tools needed! Outdoor cafe fencing is an easy way to cordon off your seating area, encompassing your customers and setting them back from passersby. 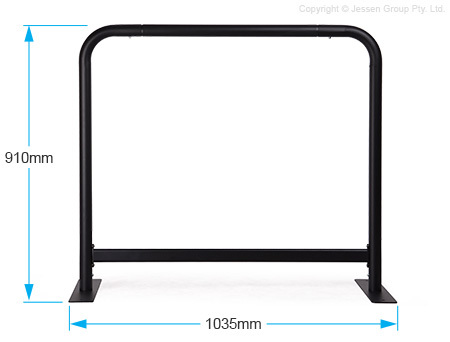 The sidewalk cafe barriers are 1035mm wide and 910mm tall, effectively dividing areas from the pavement or general area without hindering view. The base has a width of 400mm including the feet, spaced out to help ensure stability. 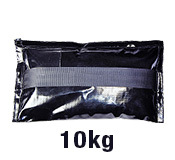 There are ground pins included for securing the partition to soft ground, with weighted bags available when placed on concrete or other hard surfaces. The restaurant partitions, outdoor cafe fencing are made from aluminium with a black finish. Designed for indoor or exterior use, this frame is rustproof and weather resistant for continuous use in most weather areas. This frame is also available with custom printed dual-sided banners, with additional prints available to allow reuse of the frame without having to purchase an additional set! These sidewalk barriers are great for branding pop up stalls at trade shows or outdoor events as well as creating a seating area outside of restaurants and cafes. 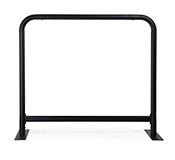 The pavement barriers are designed for quick set-up with no tools needed. Each component is clearly labeled and has a snap together design for easy insertion. Order today by 2pm EST to receive same day despatch to Brisbane, Perth, Adelaide, Melbourne, Sydney, and anywhere else with this and most other in stock items, only from Slimline Warehouse!